We had time to play a single escape room on a recent family visit to Barcelona and, after getting some advice from a local enthusiast, we chose Unreal Room Escape‘s La Mina (The Mine) as a highly regarded room which was accessible for children. While, at first glance, its location in Hospitalet suggested it wasn’t very central, it turned out to be just five or six stops from Plaça Catalunya – a few short minutes on the metro and well worth the extra effort to visit a 90-minute game. For over 100 years, The St Louis Mine was a source of precious minerals until an explosion caused all the workers to be trapped inside. Ever since, people have speculated about what actually happened. The company Dunklerde, has managed to reopen the mine and pledged to recover all the victims who were trapped underground. However, the real purpose is not entirely clear since, according to experts, the mine no longer has enough mineral resource to warrant its re-opening. That has revitalised old rumours of a strange and valuable source of minerals in the mine which some say is the real objective of the company. Are the rumours true? What mysteries does the St. Louis Mine hide? La Mina looks good. From the moment you step inside, you know that you’re in a game where they’ve tried hard to immerse you in the experience. And that’s not just a first impression either: the further in you get, the more it seems to be true. There’s scene after scene of beautiful detail that gives you the feeling of having been thrown deep inside a mine. The textures, the props… even the dirt feels real. And it’s worth emphasising that last point because you will get dirty during this game. You’re in a mine, so expect plenty of dust. It’s never unpleasant, but I certainly wouldn’t turn up in a business suit! The immersion isn’t just visual. In part, they create it with the actions they get you to undertake. As with so many great games, there were a series of stand-out moments where we felt we were doing something that really fitted within the story. Sometimes that was in the solution to a puzzle and, on other occasions, it was less about solving and more about following the adventure, but in both cases it was clear they’d focused on hammering home where we were and what we were doing. The most impressive part of the game, for me at least, is probably the sense of exploration. When I say we got the feeling of being deep within the mine, I mean it. By the time you get to the core of the experience, you feel a very, very long way from the start. That feeling of remoteness is key to creating the right emotions for the game. If you felt you could just walk across the corridor and escape at any point, the isolation of the experience would be broken. This is a game that truly detaches you from the real world. The ninety-minute duration also means they can use their space to full effect, taking you on a journey through the mine and then getting you to backtrack through the spaces to make full use of what they’ve produced. In general, you’re constantly moving forward, something that is forced on you by the linearity of the game, but every so often they send you back through the space, giving you another chance to revel in the set they’ve created. There were plenty of puzzles to fill that ninety minutes and, while I’d expect good enthusiast teams to get out in well under the time, there’s definitely a game and a half’s worth of content here. The standard of puzzles wasn’t quite up to the decoration, with some distinct tropes mixed in. I found that a little grating in an environment that had been so well imagined. It’s hard to make everything make sense within the story, but sometimes the puzzles felt particularly arbitrary. They were certainly logical, though and, while we did ask for help, I don’t think it ever felt like the answer we got didn’t make sense. A game set in a mine has some pretty obvious endings for a finale, and we weren’t disappointed by the one they chose. They’d created a series of small puzzles to finish in order to complete the mission and return to the surface. I liked some of what they’d done to create a thrilling escape, but one of the puzzles felt quite weak – leaving us with a search to end the game on, although it was at least a search that I think most teams will find reasonably straightforward. We escaped in about 80 minutes having taken four or five clues, which came over a walkie-talkie. 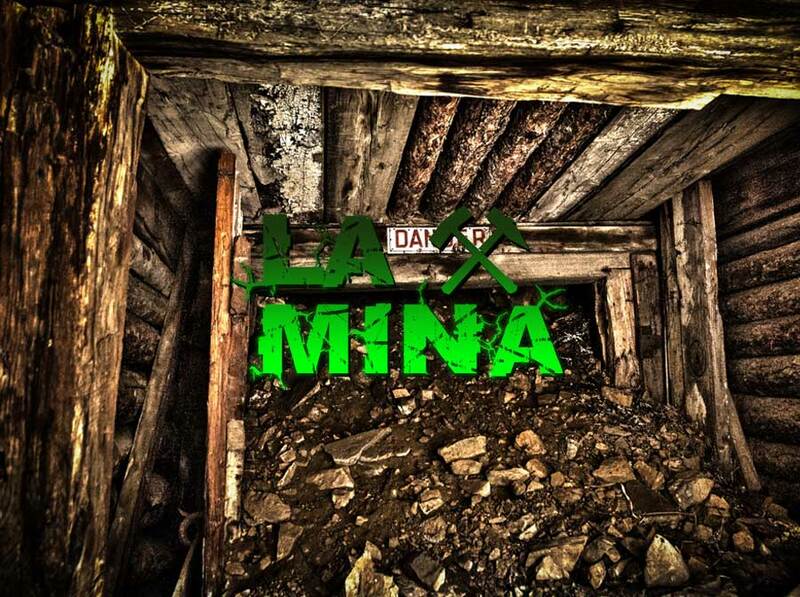 La Mina is a thrilling game that I have no hesitation in recommending to enthusiasts and beginners alike. 90-minute games are almost always better than their 60-minute counterparts but, even among those, this stood out. The decoration is first rate, the puzzles are logical and plentiful, there’s a real sense of exploration, and the theatre within the experience (both when things just happen and when you play an active part) is all thoroughly enjoyable. If you’re in Barcelona, I thoroughly recommend you head along and try it out. We played as a family of four with two children aged 8 and 10. You could definitely play this as just a pair and still get out with ease, but I’d happily recommend it to a team of four adults. There’s plenty to keep you entertained although, if you’re experienced, you may find the linearity a little frustrating at times and escape well within your ninety minutes. We went across the road to an all-you-can-eat kaiten sushi restaurant, Restaurant Japones Osaka, which had good food and very friendly service. The all-you-can-eat closes at 4pm, though, so make sure you get there well before that if you want to take full advantage!